SINGAPORE – Wage supplements for younger low-wage workers should be raised to reduce income inequality, said the labour movement on Tuesday (Feb 12). Under the Workfare Income Supplement (WIS) scheme, which tops up the incomes of those aged 35 and up and earning up to $2,000 a month, payouts should be the same for workers of all ages, instead of increasing with age, said National Trades Union Congress assistant secretary-general Zainal Sapari. He made this call in a blog post ahead of this year’s Budget, adding that it is timely to question the assumptions and intent of the scheme, which is up for review. He said that one reason to raise the level of support for younger workers is that they are more likely to have young dependants. The higher payouts for older workers are meant to incentivise them to join the workforce, but older low-wage workers are likely to work regardless of the WIS quantum, he said. “I am not advocating for any reduction in the WIS payout to older workers, but for the payout to be the same across the different age groups based on their income,” he said. Currently, for two workers earning $1,200 a month, a 65-year-old would receive $300 a month through Workfare, while a 35-year-old would receive only $125, he said. Mr Zainal also recommended that the cash component of the WIS payout be raised to 80 per cent, up from 40 per cent. The remainder is in contributions to the Central Provident Fund accounts of workers. “Since WIS is to supplement income, it should therefore translate to higher disposable income for the workers to address their immediate needs,” he said. Minister of State for Manpower Zaqy Mohamad said in July last year that the WIS scheme is under review and the results will be out this year. He had pledged to ensure that more than 20 per cent of Singaporean employees continue to benefit from the scheme, even as wages rise. The last time changes were made to the scheme was in 2016, when the monthly income ceiling to qualify for the scheme was raised from $1,900 to $2,000 and the maximum payout per year was raised from $3,500 to $3,600, depending on a worker’s age and income. Finance Minister Heng Swee Keat will deliver the Budget statement in Parliament on Feb 18. 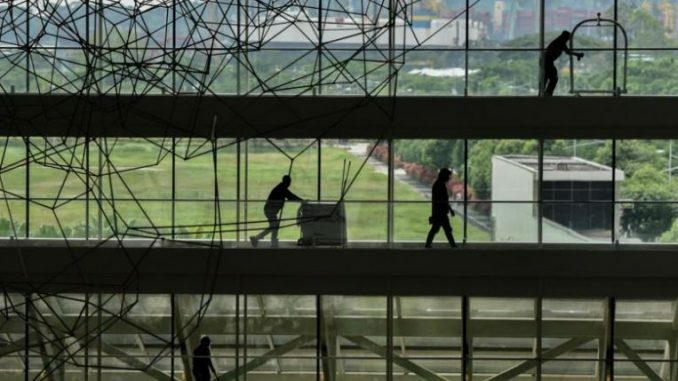 Meanwhile, the NTUC would also like to extend the mandatory progressive wage model, which is now in place in the cleaning, landscape, security and lift maintenance industries, to more sectors. Mr Zainal said the NTUC will keep working with industry stakeholders to assess the feasibility of expanding this model, which sets out career progression and minimum salaries for workers based on different skill levels. He noted that even though many countries have a national minimum wage policy with the intention of safeguarding workers’ welfare, studies on the effectiveness of a minimum wage have been inconclusive, he said. In Singapore, WIS and Workfare Training Support, as well as the progressive wage model, have been implemented instead in order to help vulnerable workers in a sustainable manner through raising productivity and wages, he noted.